Concrete stamps are designed to create the look and feel of natural materials like stone, brick, wood, and tile. Concrete stamping mats are being used to create beautiful stamped concrete patios, stamped concrete driveways, and stamped concrete overlays. 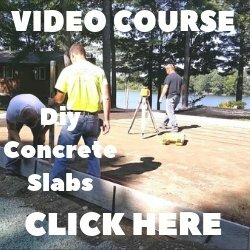 There are hundreds of stamped concrete patterns to choose from. 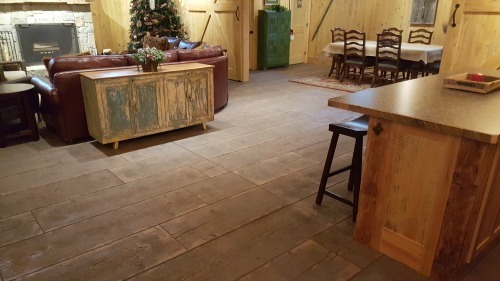 If you're trying to decide which stamped concrete designs will work for your project, below are a few stamping mats to look at for some great ideas. If you're looking at concrete stamps there are many systems to choose from; roller stamps, rigid stamping mats, flexible stamping mats, texturing skins, and border stamps are just a few. Buying stamps involves much more than just picking out a terrific looking pattern. Choosing the right concrete stamping mat for the job and knowing the difference between a high quality stamp and a low quality stamp are very important details. RIGID AND SEMI RIGID - These are the sturdiest of the stamping mats. You can easily stand on these. They have handles for lifting and placing. They are both made of polyurethane. The semi rigid is more flexible allowing it to conform to contours in the concrete slab very easily. Rigid mats are used for a majority of the stamping job, they leave a good deep impression. Semi Rigid mats are used for sloped areas, flared areas as well as main area. FLOPPY OR FLEX - These are about half the thickness of a rigid mat and made with very flexible urethane. They have no handles and aren't usually used to stand on. Their main purpose is for stamping edges, corners, up against walls and columns. TEXTURING SKINS - These skins are extra thin, very pliable and have feathered edges so they can overlap each other. They produce a seamless texture without any grout lines. They come in multiple pattens, but the depth of texture is less pronounced. These are great for using with rigid stamping mats or can be used alone for a seamless texture with no lines in the concrete. They're great for stamping edges, up against walls, vertical faces, and stairs. They can also be used to touch up flaws and uneven surface levels left behind by rigid mats. ROLLER STAMPING TOOL - These are rolled over the surface and work well for smaller applications with no walls or other obstacles to go around. You will still need a texture mat to touch up edges and corners. Having enough stamps to complete the job without interruption is very important. You're window of opportunity to get the concrete stamped, especially in warmer weather, is very limited when the concrete starts to harden and is ready for stamping. You'll get better results if you have enough stamps to extend across the full width of the slab, plus a couple more to start the next row. You'll also need at least one floppy and one texture mat for doing edges and a tamper for imprinting the mats into the concrete. By measuring the size of the stamping mat you should easily be able to figure how many mats you need for a successful stamped concrete job. If you're stamping a concrete overlay, the overlay material is typically 1/4 to 3/8 inches thick. Most of the same patterns and textures used for regular concrete can also be used to stamp an overlay job. Be careful not to purchase concrete stamps with deep profiles that will exceed the thickness of the overlay. As a general rule, the overlay should be twice as thick as the profile on the stamp. WHAT ARE CODED STAMPING MATS? Stamps are usually sold in sets of several mats that give slightly different impressions of the same pattern. This is to produce a random look and minimize pattern repetition. The end result is a random look that is very realistic. To help keep the pattern random, manufactures code their stamps using letters, numbers, or different colors. By following a certain code it helps keep the pattern random and not have two stamps with the same pattern next to each other. The color coded system is the easiest, just don't put two stamps of the same color next to each other and you'll always have a random look to your pattern. High quality stamps have some characteristics that differentiate them from low quality stamps. They fit together tightly with no gaps. The stamp thickness is consistent. Their edges and corners are straight and align properly. Handles are firmly affixed and don't protrude out through the bottom. Texture is crisp, sharp, and looks realistic. Pattern varies form tool to tool and produces a random look. Check the concrete stamp suppliers reputation, tool warranty, and replacement policies, they are all very important before you give them your business. A top quality stamping tool should give you many reuses and years of service if cared for properly. Most companies offer limited warranties, but will replace a defective tool at any time. 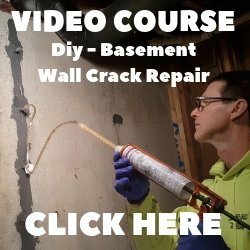 Check out what I recommend using for concrete stamping tools!